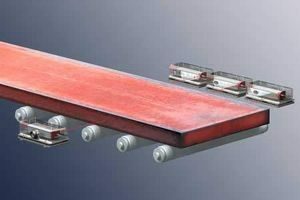 The ANTARIS Series of triangulation sensors is built for long-standoff measurement, such as where the measurement target is extremely hot – for example, hot profile or flatness measurement on hot steel strip. The intelligent signal processing controls exposure of the CCD array and laser power in real time, resulting in excellent dynamic behaviour regardless of varying colour, reflectivity or texture of the target, making them a solid choice for integration for online or offline measurements. 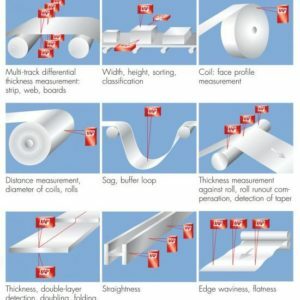 Laser measurement sensors can be customised, with the ANTARIS BAND giving a short line rather than measuring spot. 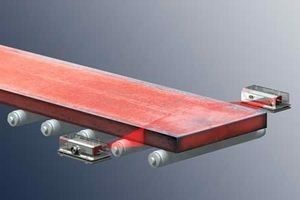 Typically, long standoff laser triangulation sensors are used to measure flatness, straightness, length, width, height and displacement in the metals industry. 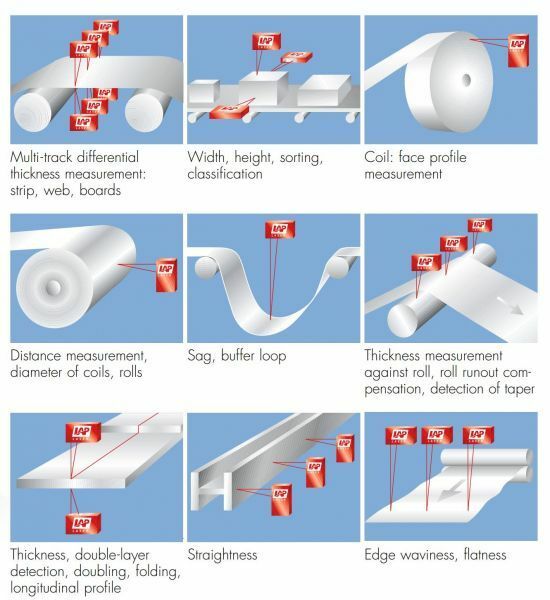 If you would like more information about using the ANTARIS laser measurement system or available options, contact us. 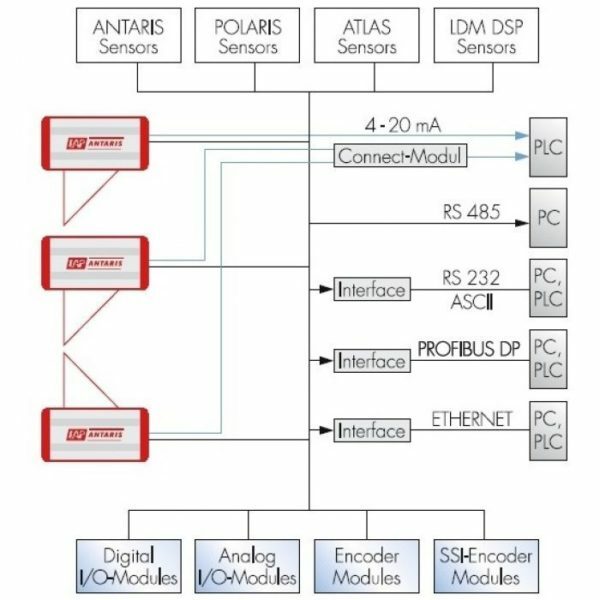 The ANTARIS sensors operate according to the triangulation method. 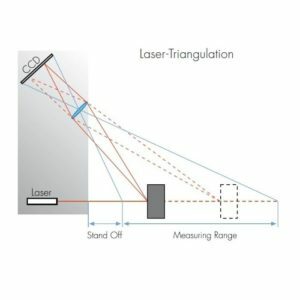 A laser beam emitted from the sensor creates a visible spot on the surface of the measured object. Depending on the distance, a CCD line scan camera besides the laser ”views” this spot under varying angles. Using this angle and the known distance of laser and camera, the Digital Signal Processor computes the distance between the sensor and the measured object. In contrast to conventional laser sensors, LAP ANTARIS sensors combine a high resolution CCD line scan camera with a Digital Signal Processor (DSP) to provide pure digital acquisition and processing of measured values. Sophisticated design using proprietary engineered materials ensures the highest stability without temperature drift and provides shock resistance for use in harsh industrial environments. 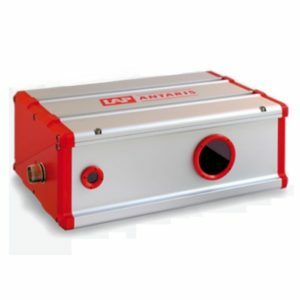 This additional housing protects ANTARIS laser measurement sensors from dust, dirt and temperature influence. Airflow should be produced by a fan; compressed air is not the first choice. 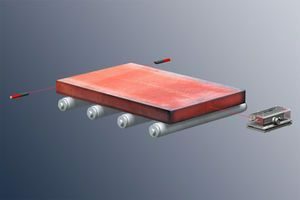 Depending on ambient conditions, the airflow can be heated to prevent fogging and icing or cooled to increase the lifespan of the sensor, especially the laser diode. Contact us to discuss ANTARIS options specific to your needs.